This Valentine’s Day is a special one for Kaye. It’s her first time experiencing Valentine’s Day at school with her friends. She’ll find out what it’s like to exchange cute Valentines with her classmates. So I wanted to make a special one for her to hand out next Tuesday. 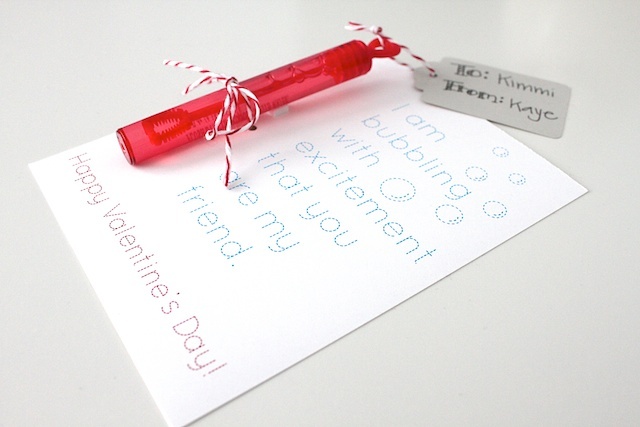 I had extra bubbles from Elle’s birthday party so I created a Valentine’s Day card using the bubbles. I found these bubbles at Target, a pack of 12 for $2. But you can find these also in the wedding sections at craft stores. You know me… totally simple but cute. So print it out and use it for your child’s Valentine’s. It is best if printed on thick (100 pound) card stock paper. And white card stock is the best since the font is really thin and the colors are light. If you make something inspired by Simply Modern Mom, please upload pictures of it to our Flickr group to show it off to everyone. You may be featured on Simply Modern Mom. 1. Once you download the card, cut on the lines to create 4 cards from one sheet. 2. 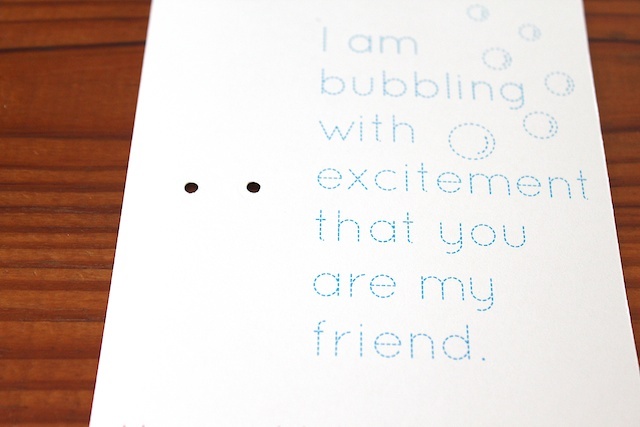 Place the bubble on the card’s white space (left side) to get a feel for where you need to punch holes. Punch two holes for the strings to go through. 3. Place the double-sided adhesive squares in the middle of the holes punched in step 2. And stick the bubble to it. 4. Tie the tag to the bubble (optional) using baker’s twine. 5. String baker’s twine through the holes and tie a bow to keep the bubble in place. And done! » Tell me… What is your favorite Valentine’s Day candy to receive? These are absolutely the best! I just posted about what we are doing for my Little Guy’s classmates and included a link back here. This is definitely something we will consider for next year- LOVE IT! I love anything dark chocolate really, but if I was going for decadent- dark chocolate covered coconut. mmmmm…. Tiffany these are awesome! 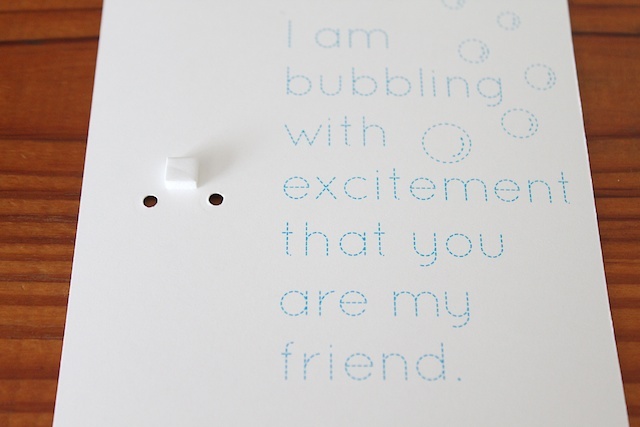 Love the “bubbling with excitement”! Thanks! We just made these for my daughter’s preschool class. We used your template and then attached each card to pink 4.5×6.5 cardstock. I assembled and she wrote her name at the bottom and attached a few stickers. They look really cute and she’s excited to give them out! My son has food allergies so we try to exchange gifts/valentine’s that don’t involve food. I love this idea! It’s totally something I could do. My kids have food allergies to so I love all these non-candy ideas. Plus we don’t do a ton of candy around here so its nice to give something more fun instead of junk food they don’t need! 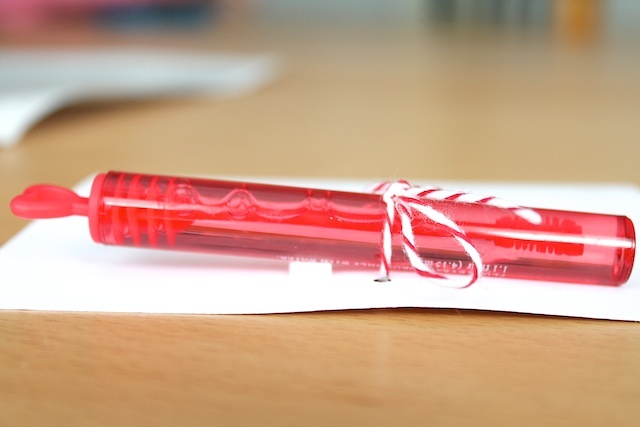 beautiful idea… especially since many teacher prefer a non-food valentine! Such a cute idea. I woul love for you to link it up to my party on Thursday. I would love to feature you. Thanks so much for sharing. Such a wonderful idea! So cute! Any chance you would be willing to change the wording so I could use it as a teacher to give to my students? Fabulous! Our dollar store has little bubble containers that would be perfect. Thanks! LOVE LOVE LOVE LOVE LOVE!!! 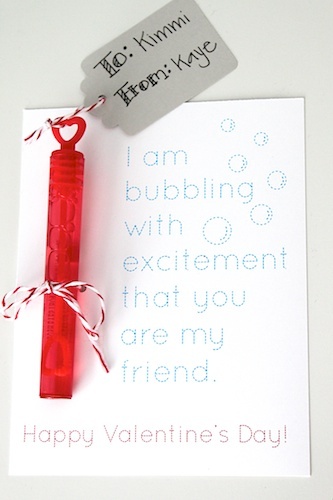 I got the bubbles and KNEW there had to be a way to make them a CUTE CUTE CUTE valentine!! Thanks sooooo much for sharing all the steps!! This ROCKS! My daughter and I made our valentines based on your post and your download. I blogged it and linked back to you. This is super cute and was really fun. Thank you so very much for sharing with us. I would love to be able to use this as a teacher as well! Thanks so much for the printable! I just made these for my son’s school v-day card! Too Cute!! 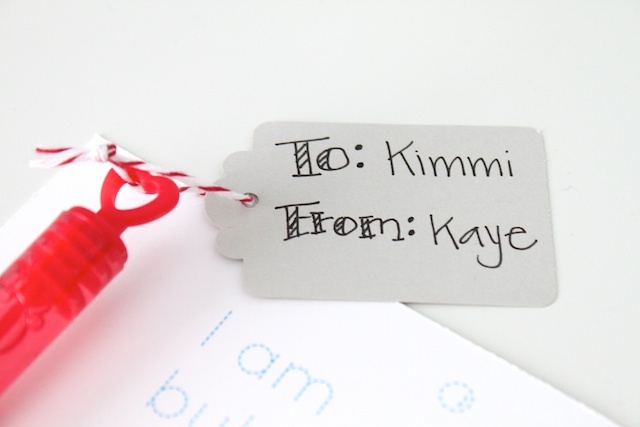 Thank you for this wonderful idea – I’ll be using it for my daughter’s pre-school class. I made these for my son’s 3rd grade class and my daughter’s 1st grade class. They are so adorable, I am sure the kids will love them! Would you mind sharing the font used. I was thinking about using the same font on my daughter’s valentine’s but I’m not sure what font is used. Thank You! What font did you use to make this card? I LOVE the font! !